Fitz Fitzpatrick, host of a weekly open mic at Spokane's Neato Burrito, is competing in the Individual World Poetry Slam. Shakespeare? Longfellow? Robert Frost? Devin Devine could take or leave traditional poetry, though she studied plenty of it and even wrote a bit of her own while double-majoring in creative writing and theater at Gonzaga University. "For me, poetry was very inaccessible for a long time," says Devine, who found it too academic, even elitist. 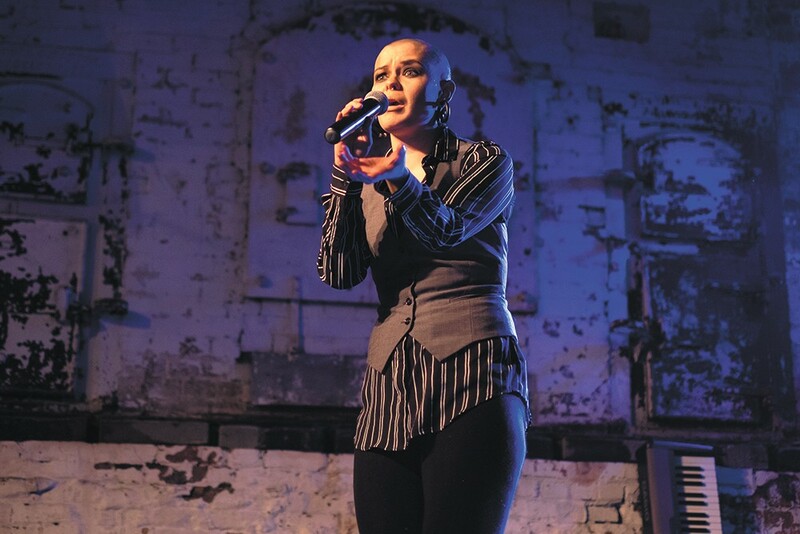 Then she attended Broken Mic — it's one of four types of spoken-word events organized by Spokane Poetry Slam — and was struck by the synthesis of written and spoken word. 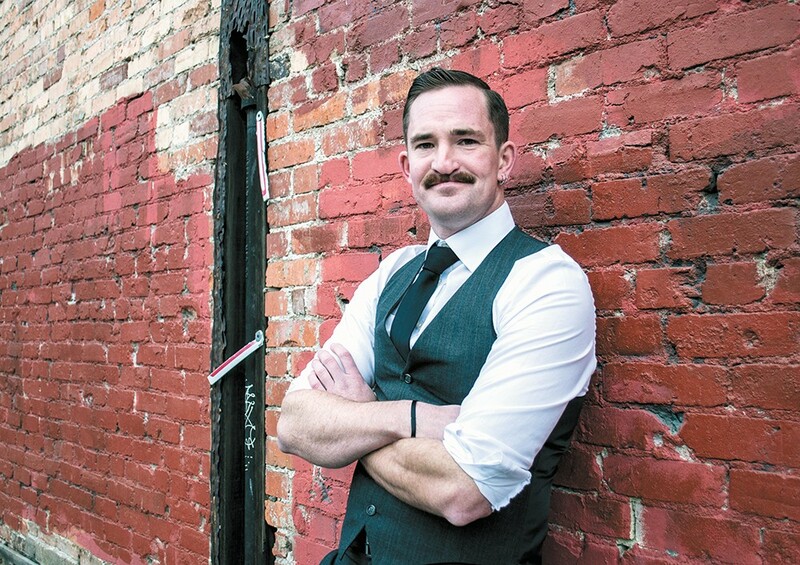 Now Devine is among five local performers attending the Individual World Poetry Slam (iWPS), a four-day takeover of Neato Burrito, Auntie's Bookstore, the Bing and other Spokane locations, offering open mics, poetry workshops and a fierce spoken-word competition, aka "slam," featuring 96 poets from as far away as Australia. "I like to write about things other people aren't comfortable with," says Devine, who debuted a piece about Lorena and John Wayne Bobbitt on Sunday night at the final BootSlam before iWPS. The monthly competition at Boots Bakery & Lounge, held every first Sunday, includes judges and scoring similar to that at iWPS: five audience members with no affiliation to any individual performer are recruited to score performers based on both what is said and how it's delivered, explains Isaac Grambo, who is both Spokane Poetry Slam commissioner and host city coordinator for iWPS 2017. Poetry slams offer an opportunity to create art in unique way, says Grambo, who formerly taught art at Boise State University. On a lark, says Grambo, he attended a poetry slam at the Visual Arts Collective, a contemporary arts and performance space in Garden City, Idaho; he liked it, did well in competition and represented Boise on a national team. What has kept him interested in poetry slams, says Grambo, is the immediacy of the art form. "Art is not a painting or sculpture or photograph or something like that," he says. "Art," says Grambo, quoting contemporary American art curator Walter Hopps, "offers the possibility for love with strangers." Maybe that's what lured 82-year-old Marilyn Montgomery to a recent BootSlam. She saw an ad for the slam and felt compelled to attend, even though it's been years since she attended a poetry reading, says Montgomery. Her short passage on love receives raucous cheers and applause from the many pierced, tattooed and much younger participants, some of them snapping their fingers in appreciation. "It's a very welcoming environment," says Devine. "Art offers the possibility for love with strangers," Isaac Grambo says, quoting contemporary American art curator Walter Hopps. It's also educational, says Katy Shedlock, a former English teacher who recently moved back to Spokane and has been honing her writing and performance skills by attending events like BootSlam. "I'm always inspired coming here," says Shedlock, who's also in the running to represent Spokane at the 2018 National Poetry Slam. An actress, playwright and recently appointed Reverend of the Audubon Park United Methodist Church, Shedlock's BootSlam performance draws on the Biblical story of Esther to illuminate the necessity for political accountability. IWPS is another learning opportunity, says Shedlock, who will attend iWPS on a judge's pass ($20, plus $25 to attend final competitions), meaning she'll get to attend events, as well as judge performers with whom she has no personal affiliation. The need for judges is huge, owing to the number of competitors and competition rounds. The first round of competition starts Thursday, Oct. 12 and features two rounds of 1- or 4-minute poems. Friday's competition features 2- and 3-minute poems. The top 14 poets advance to Saturday's finals, which consist of three 3-minute poems. Shedlock represents the diverse appeal of poetry slams, which offer niche opportunities — Native Americans, genderqueer, teenagers — on both local and international levels. It's a supportive, welcoming community, says Grambo, who advises that performers will do well if they just meet the audience where they are.